Oh my Gatsby! 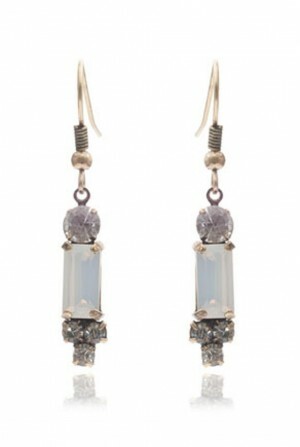 Are you ready to embrace the 1920s trend? The runways have been packed with art deco style designs and, as vintage lovers, we are fully ready to emerge ourselves in this marvellous movement. 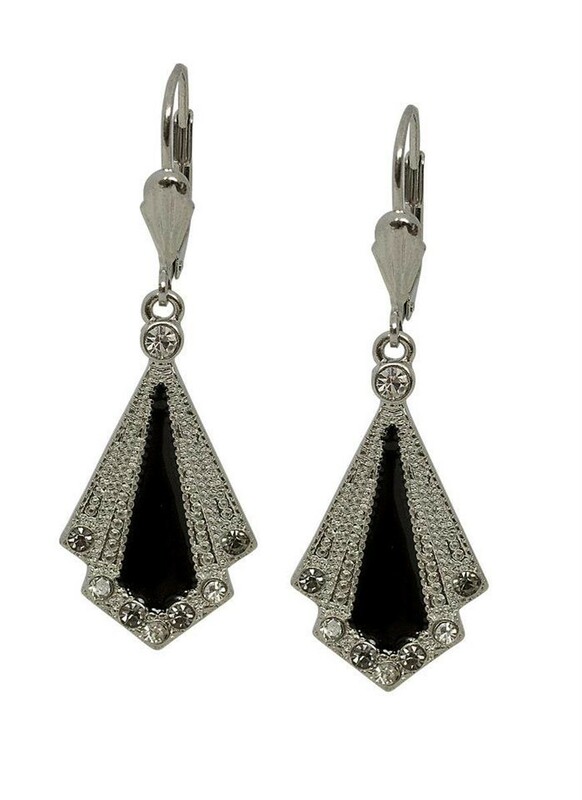 These sparkling art deco enamel earrings with a chic slick of black will be your go-to accessory for a night of shimmying. Team these 1920s fan earrings with one of our drop dead gorgeous flapper dresses and a strand of pearls to complete the look! These 1920s style earrings measure 4.5cm by 5.5cm and have a geometric art deco fan shape. They have an enamel feature in black, with diamante surrounding and are made from rhodium plated in silver.